An exhibition featuring work from women who survived sexual violence during the Yugoslav Wars has opened its doors in Pristina. Showing at the capital’s Kosovo Museum, Colours of Our Souls asked survivors to paint the world “as they wished it to be.” Most were unable to sign their work or attend the exhibition opening due to severe social stigma still faced by survivors in Kosovo today. The organisers behind the project, UN Women, said that the exhibition served display as a call for peace, as well as helping survivors break down prejudice and reclaim their rights. 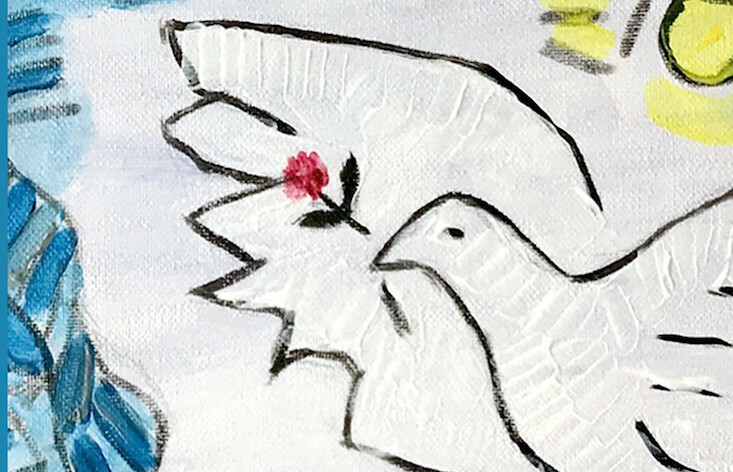 “The images reflect the hope for a better and more peaceful future for women, who continue to face stigma and violence,” said Ulrika Richardson, United Nations Development Coordinator in Kosovo, who linked the exhibition to the healing power of art. All of the works on display is avaliable to buy, with all revenue going to the artists.